We have a Billboard sign at the highway, and we are very easy to find, but don’t follow Google’s instructions with our true address or you will be lost! Plug 7261 E. Lamar Alexander Parkway into your GPS and you should have no problem. Google sometimes sends folks through our neighbors corn field…not so much fun! 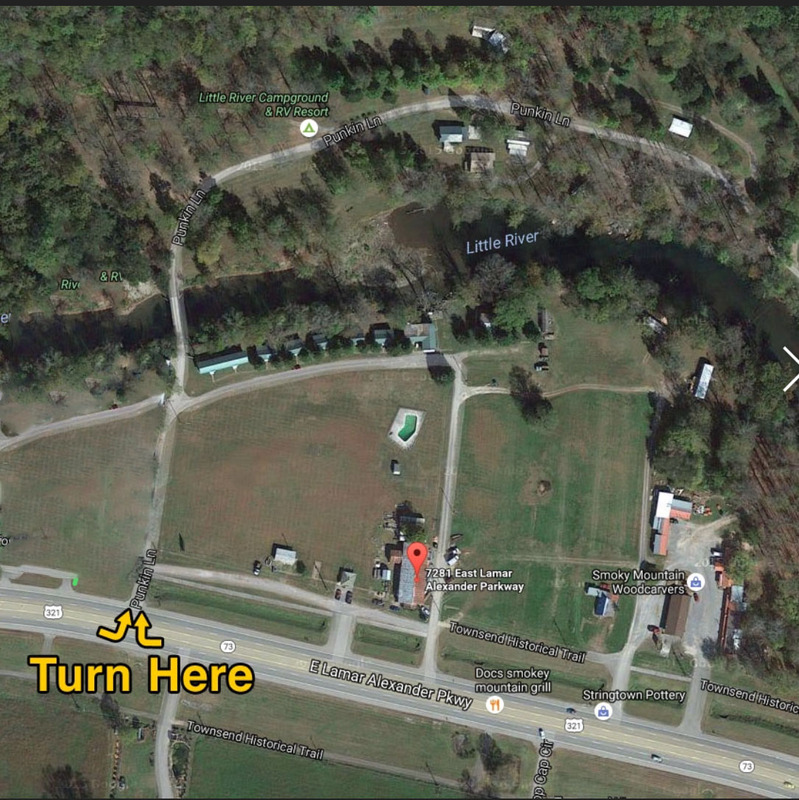 Once you are on Punkin Lane, you’ll come over the bridge crossing the Little River and arrive at the campground. We can’t wait to see you. Safe travels!